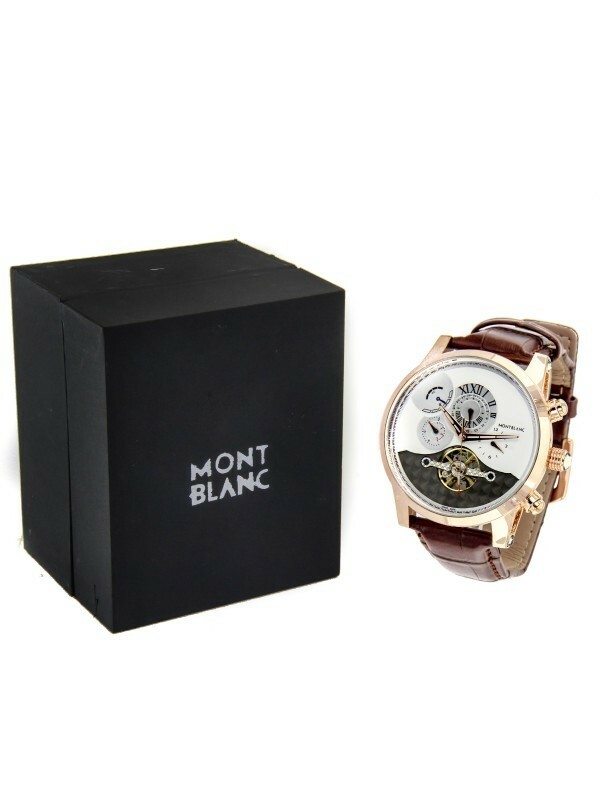 Quick Overview : MACHINE AND MOVEMENT: Mont Blanc AUTOMATIC TOURBILLON - Swiss Made Machine. 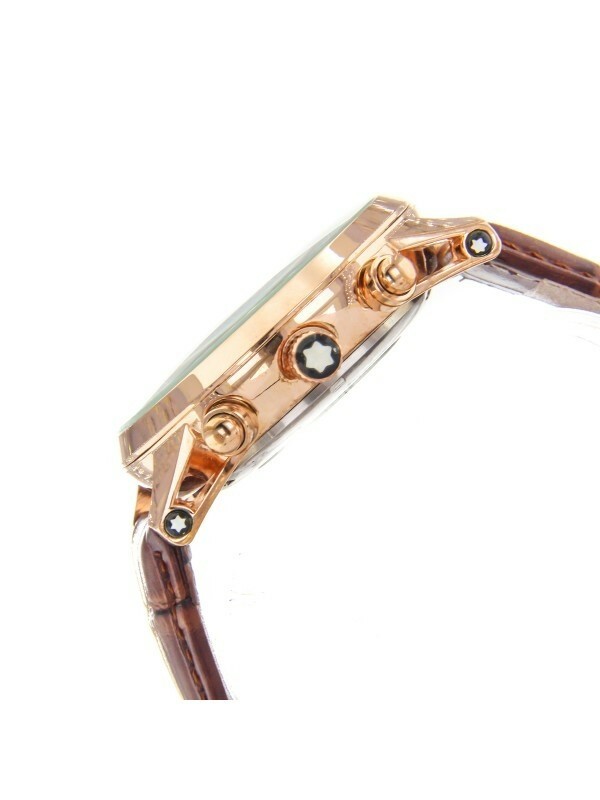 CASE: Polished Rose Gold Case. 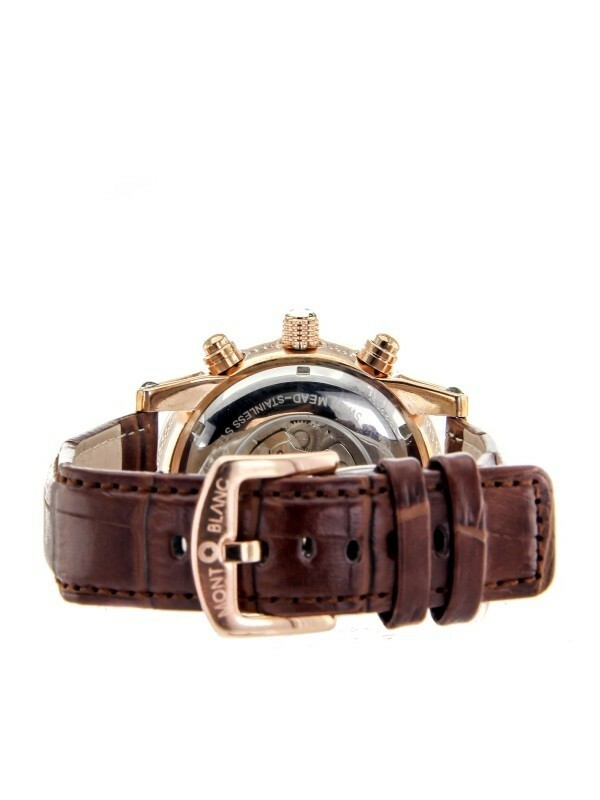 STRAP: Brown Alligator Leather Strap. The automatic chronograph in the Nicolas Rieussec Collection is one of Montblanc's tributes to the inventor of the first patented chronograph. 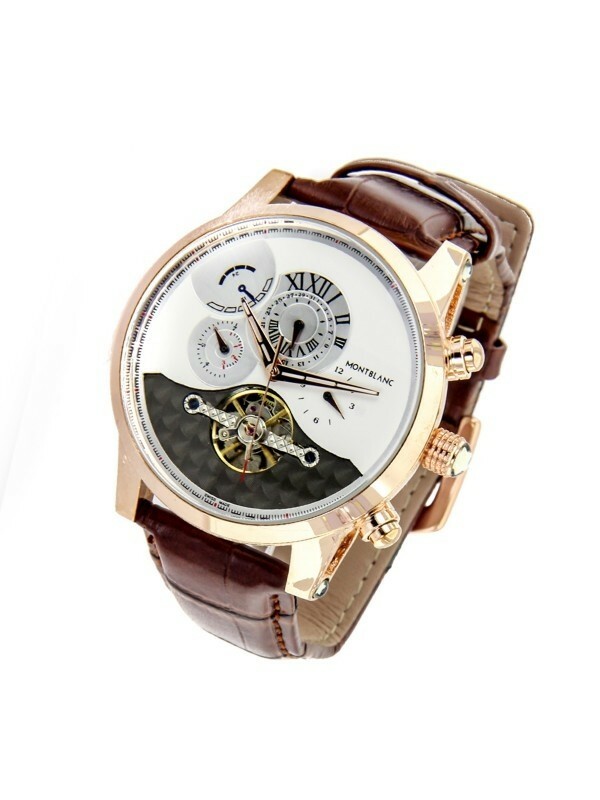 Its innovative display for the minutes, along with the modern design of its rotating discs for elapsed seconds and minutes, creates purity and clarity that consistently continue into luminous hands for the time in the primary zone and a skeletonized hand for the hour in the second time zone. Equipped with a Monopusher mechanism, a column-wheel, and vertical disc coupling, the self-winding manufacture caliber MB R200 features several additional complications that complement its classical appearance. 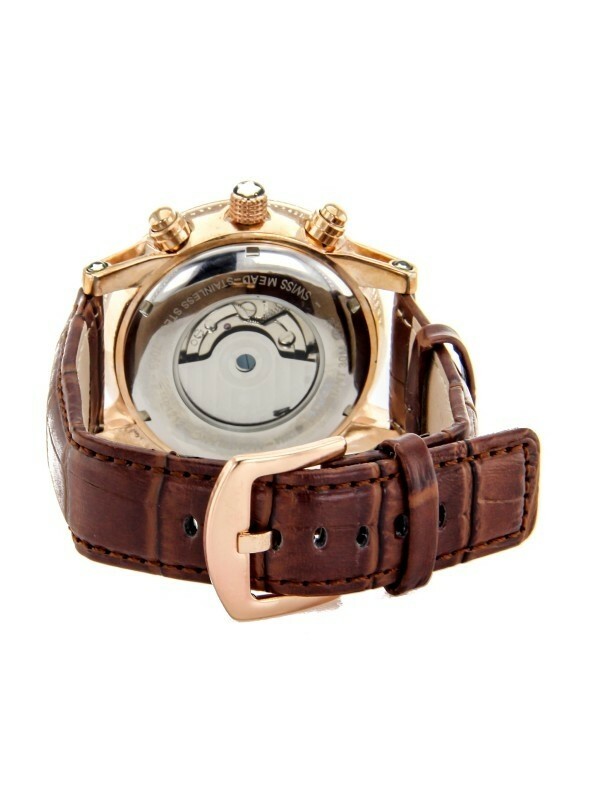 These include a day-night display for the second time zone and a rapid-reset mechanism for the hours-hand. Disclaimer: Product color may slightly vary due to photographic lighting sources or your monitor settings. Shopsyour Guarantee: Shop with confidence as all payments are 100% secure.